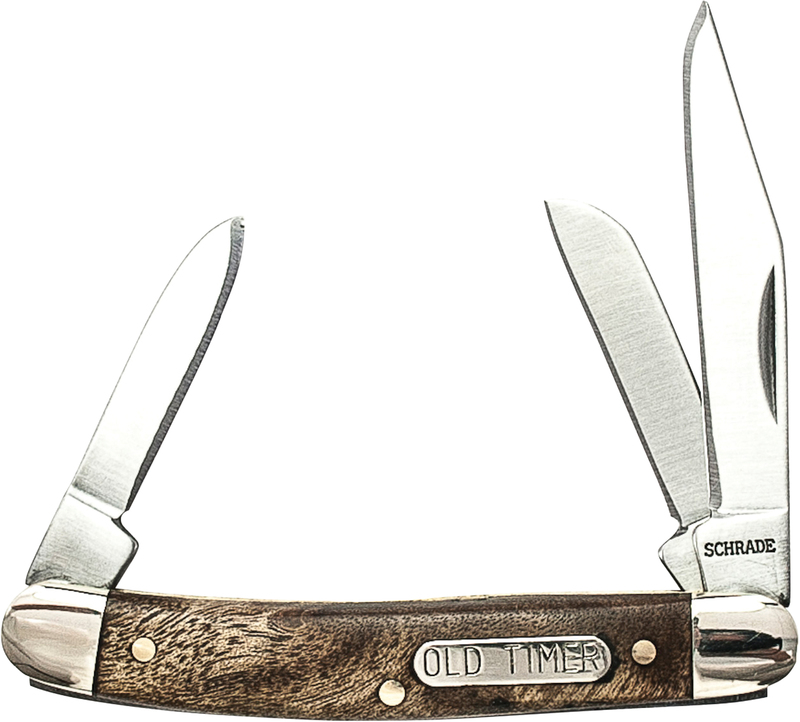 1011OT - Schrade Old Timer Small Canoe. 7Cr17MoV Steel. 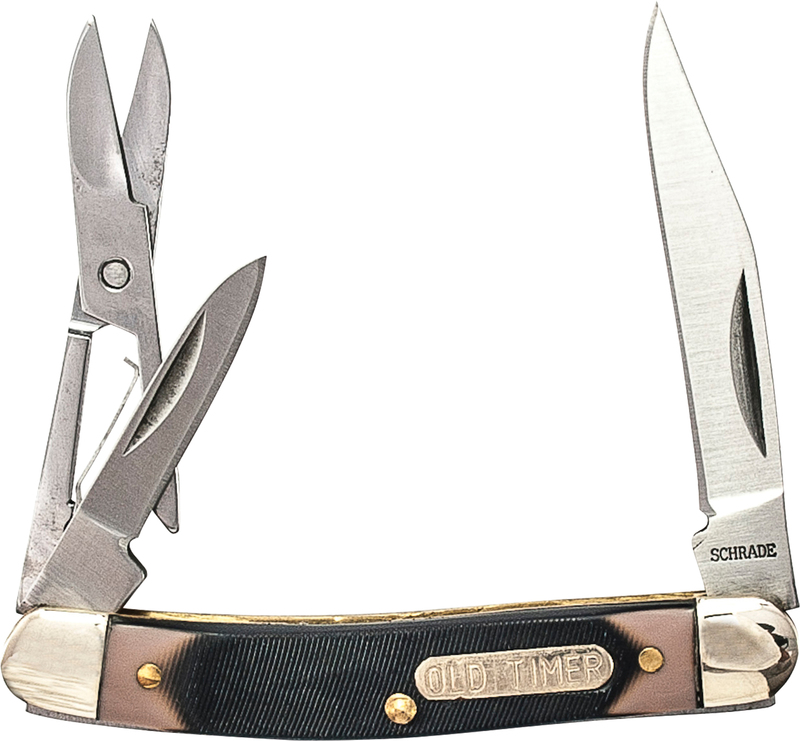 106OT - Schrade Old Timer Granddad's Folder w/Clip, Pen, & Scissors. 7Cr17MoV Steel. 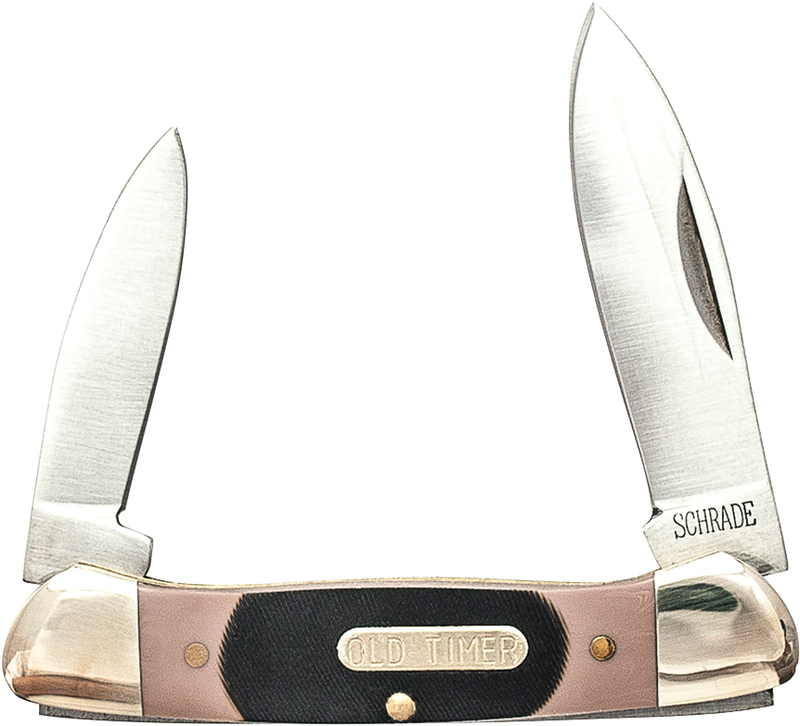 108OT - Schrade Old Timer 3/4" Closed Junior. 7Cr17MoV Steel. 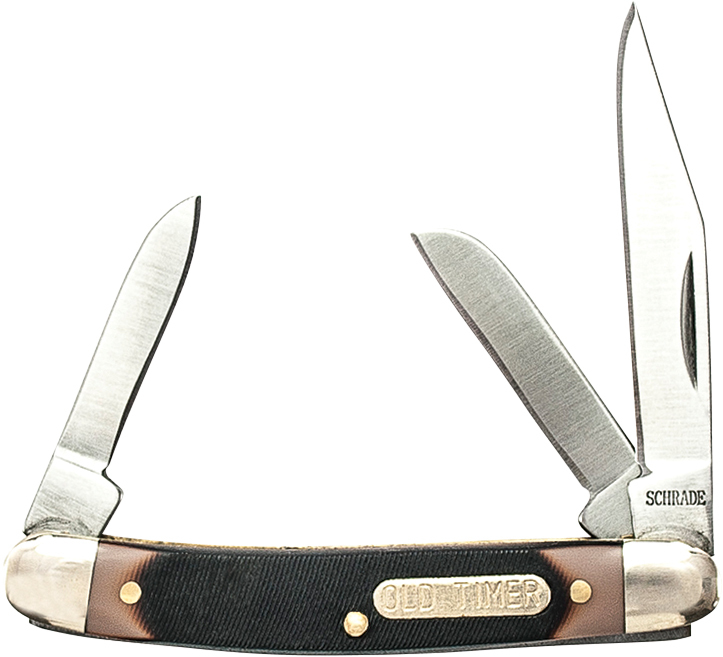 108OTW - Schrade Old Timer 2 3/4" Closed Junior with Desert Iron Wood Handle. 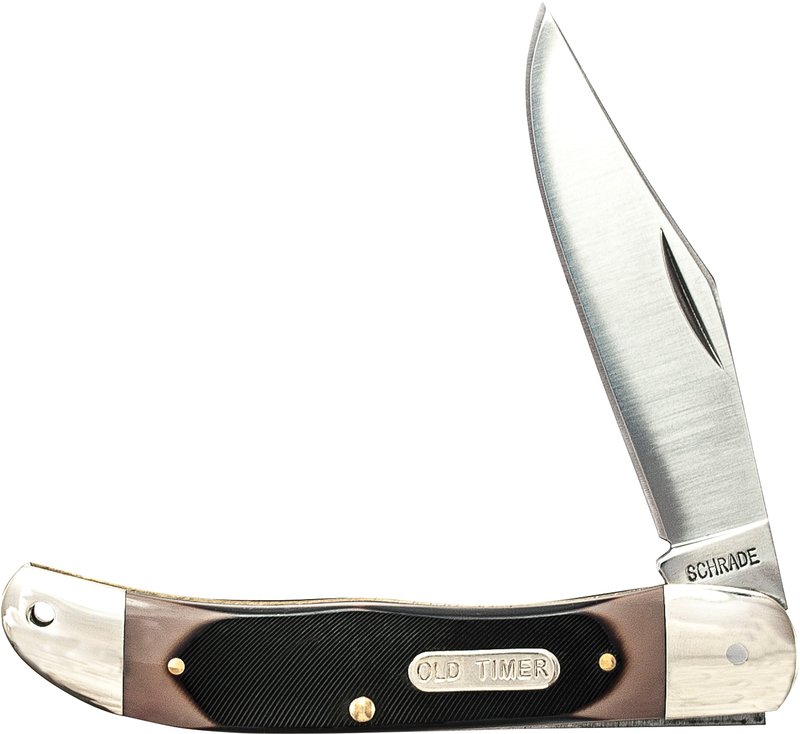 7Cr17MoV Steel. 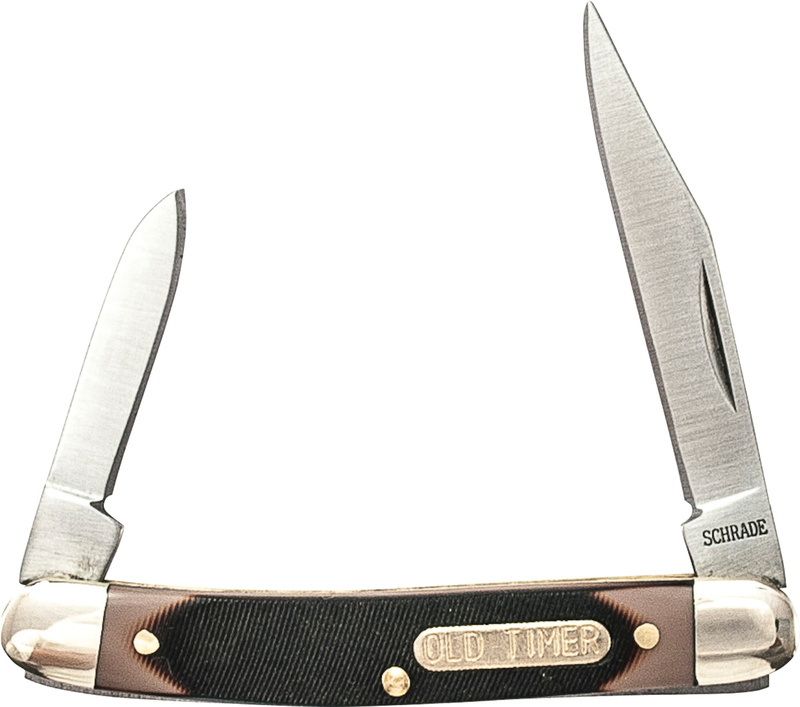 11OT - Schrade Old Timer Large Canoe. 7Cr17MoV Steel. 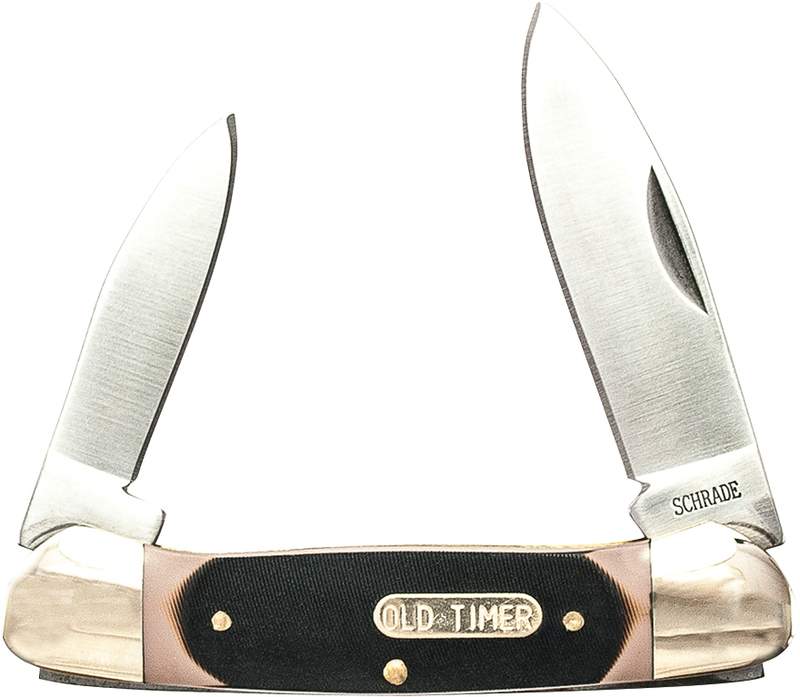 123OT - Schrade Old Timer Pioneer. 7Cr17MoV Steel. 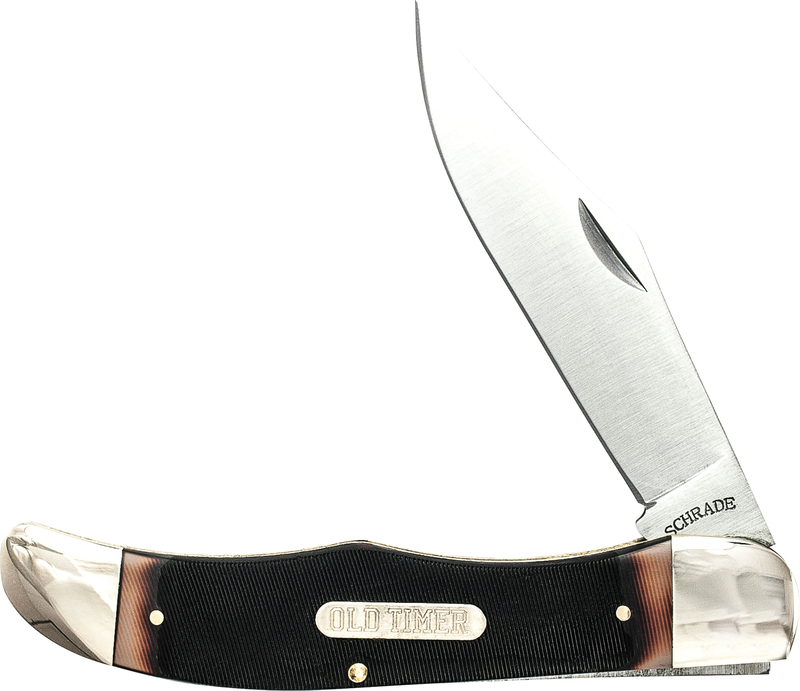 125OT - Schrade Old Timer Mustang Brown w/ Leather Sheath. 7Cr17MoV Steel.